Once thought to be extinct, the rare Fuertes’s Parrot now urgently needs your vote. Help create a nature reserve to protect this spectacular bird before gold mining destroys its rainforest habitat. 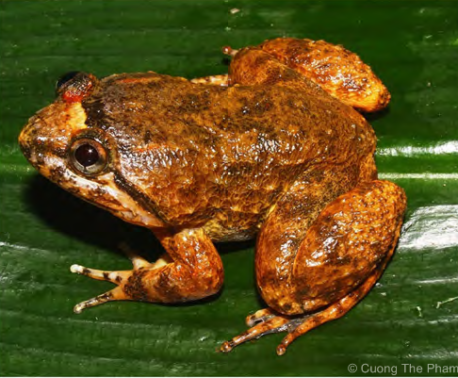 Gold is precious simply because it is rare: in the endlessly search for it in some of the most beautiful places on Earth, pristine rainforest habitats are destroyed driving wildlife to the brink of extinction. 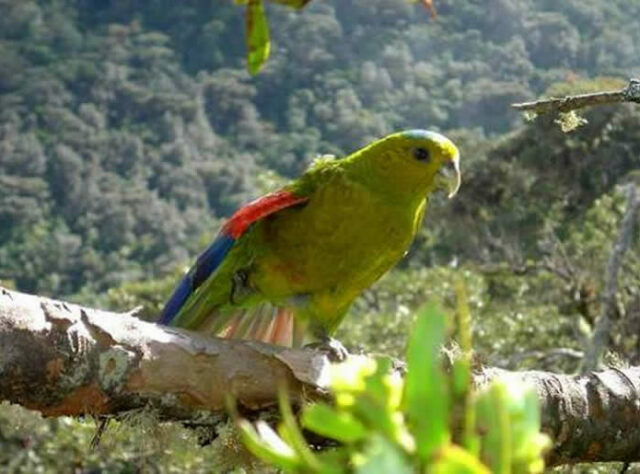 World Land Trust (WLT) needs your vote to stop the destruction in Central Colombia and to save the Fuertes’s Parrot – a species more precious than any rare metal. 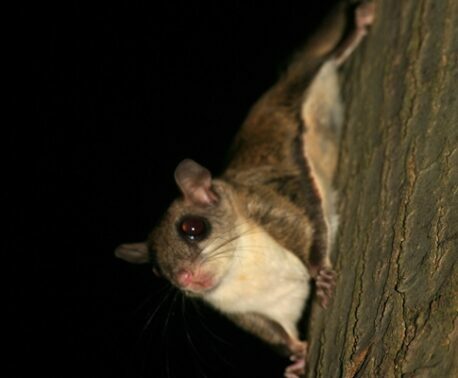 The European Outdoor Conservation Association (EOCA) is running a month long conservation competition to help fund the protection of threatened habitats and wildlife across the world. 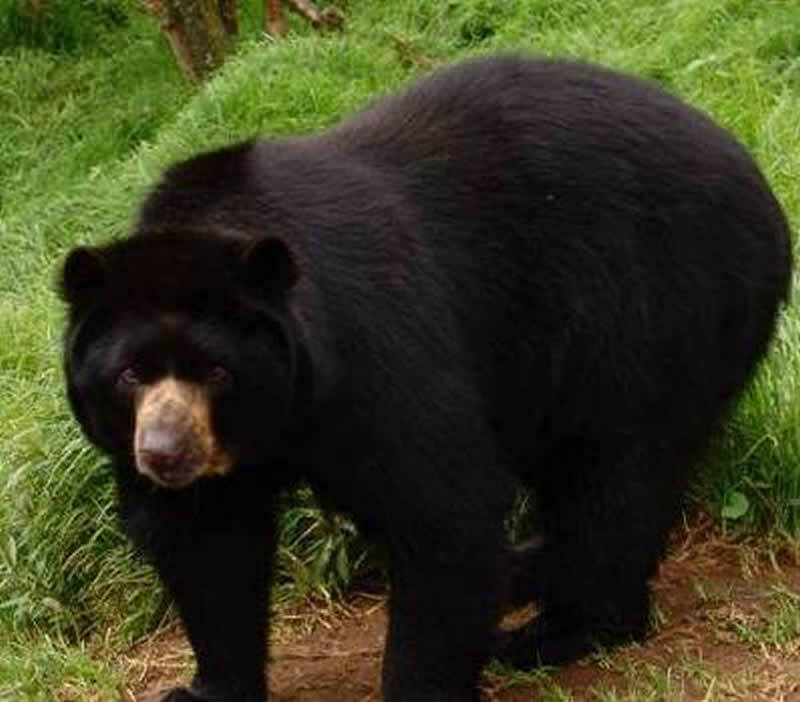 Between February 24 and April 1, you can vote for the Fuertes’s Parrot Project to support a 363 acre nature reserve which would protect the habitat of this Critically Endangered parrot and an array of other threatened wildlife – from the Spectacled Bear to the Puma. It is quick and easy to vote online by simply visiting EOCA website or Germany’s National Geographic website. On the left there is a box entitled: Stimmen Sie ab! 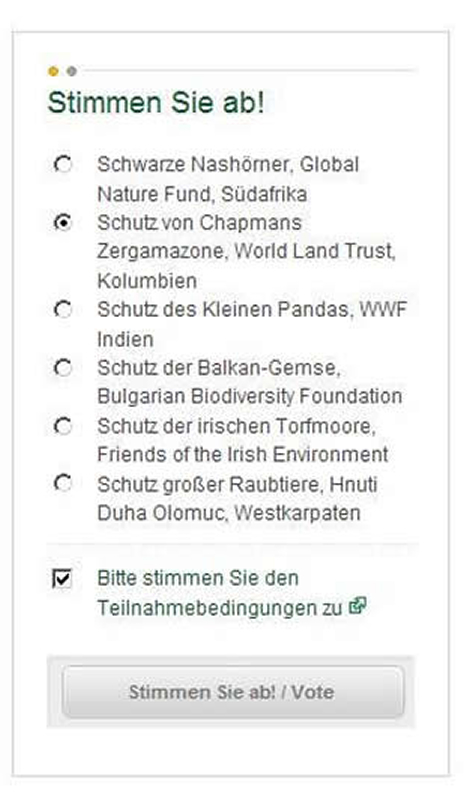 Click on the second option entitled: Schutz von Chapmans Zergamazone, World Land Trust, Kolumbien. Tick the box at the bottom entitled: Bitte stimmen Sie den Teilnahmebedingungen zu. Click: Stimmen Sie ab! / Vote. It could not be easier to help protect pristine Colombian rainforest for a species that is being driven to extinction by the gold mining industry, agricultural expansion and logging. For over 90 years, the Fuertes’s Parrot was thought to be extinct; it was the cause of great celebration when in 2002 a team of Colombian conservationists from Fundación ProAves, a WLT partner, rediscovered a small colony of 15 individuals clinging to existence on a small and highly fragmented patch of cloud forest habitat located above the town of Cajamarca in Central Colombia. ProAves has worked tirelessly since then to save the species and in 2009 established the 361 acre Giles-Fuertes Nature Reserve to protect one of only two tiny surviving populations of parrot, as well as many other threatened birds and mammals that are dependent on these cloud forests. It is now vitally important to protect a further 363 acres alongside Giles-Fuertes Nature Reserve. While the parrot’s core breeding colony is protected, the encroachment of pasturelands into the sensitive cloud forests surrounding the reserve threatens further fragmentation and destruction of key foraging and nesting areas for this magnificent parrot. Recently the South African mining giant Anglo Gold Ashanti announced that it had found one of the world’s “top 10 gold deposits”; a 13 million ounce vein of gold nestled under Colombia’s central Andes. In September 2011, ProAves learnt of possible further gold discoveries beside the Giles-Fuertes Nature Reserve and that Anglo Gold Ashanti had immediately acquired over 5000 acres bordering the reserve. To address this urgent threat, WLT agreed to support ProAves’ 363 acre land purchase next to the reserve and were delighted when WLT corporate supporter Nikwax, realising the significance of this land purchase, nominated the Fuertes’s Parrot Project to receive funding from the EOCA competition. The support of Nikwax in spearheading this project is hugely encouraging, but we must get public votes if it is going to become a reality. Five other conservation projects across the world are going head-to-head to win $30,000 funding. So if you believe that Critically Endangered parrots and other rare wildlife are more valuable than gold please log on and caste your vote. We urge our supporters to vote and to spread the word to friends and family – we need your help to protect this habitat and all its wildlife. From everyone at World Land Trust and ProAves, thank you for your vote.